This Engraved Chakra Set has oval shaped stones. 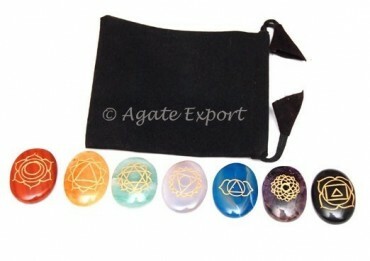 These stones will guarantee health and balanced energy. The stones measures 25-35mm.